People first crossed the line between land and sea to become scuba divers more than 70 years ago, when Jacques Cousteau pioneered the Aqua-Lung in Nazi-occupied France. But humans aren’t the only creatures who bring air underwater with them to breathe. Some species of aquatic insects have been doing it for millions of years. So how do they do it? Air-breathing aquatic bugs and beetles don’t hold their breath the way sea mammals do, nor do they have gills like fish. The answer lies in their small size. Insect scuba strategies hinge on a property of water that relative giants like us usually overlook: surface tension. Surface tension is the property of any liquid that describes how its particles stick together. 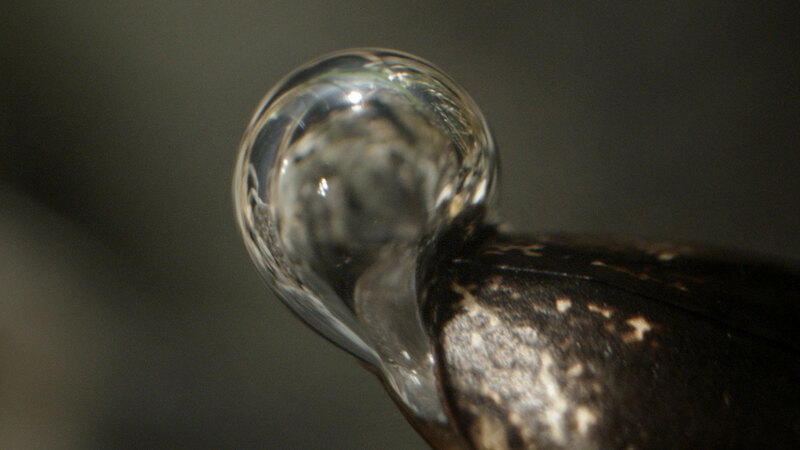 In the case of water, surface tension is especially strong, enough to form a kind of film where it meets the air, whether at the surface or in a bubble. 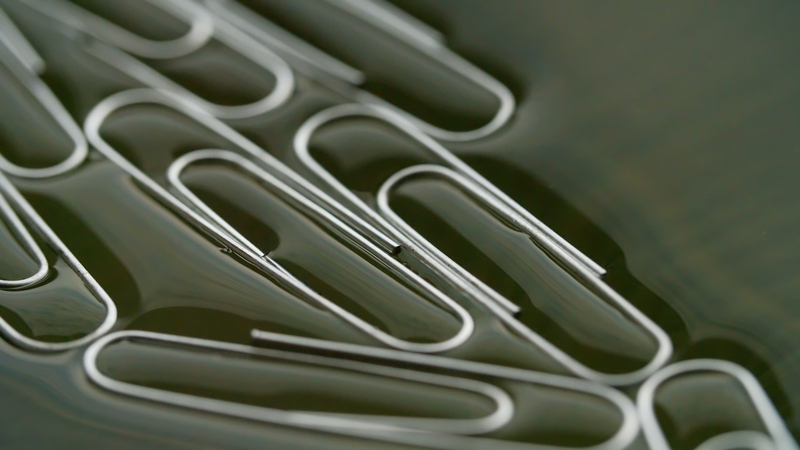 The film is so strong, in fact, that a paper clip, which should sink because of its density, will float. Predaceous diving beetles are an aquatic insect family common in lakes, ponds and streams. Streamlined and equipped with legs adapted to swimming, these beetles dive with a breathing bubble trapped beneath their outer wings. Unlike our scuba tanks, however, the beetle’s bubble can partially replenish itself, drawing oxygen from the water to replace what the beetle consumes. Sometimes scientists call the bubble a “physical gill,” since it works somewhat as gills do in fish. “The relatively large surface area of the bubble allows it to exchange oxygen with the surrounding water,” Maier said. The beetles hunt smaller bugs and scavenge for food among the gravel and vegetation at the bottom. The bubble’s oxygen supply is limited, however. Eventually, consumption outpaces replacement, and the beetle releases the bubble and returns to the surface for a new one. Another aquatic family, long-toed water beetles, have evolved a more permanent solution. Though these bugs are born on land and breathe air, they enter the water as adults and never go back. They owe their underwater staying power to something called a plastron, a thin layer of breathable air on their outer shells. Employing surface tension, hairlike structures on the shell keep the layer intact. Plastrons, which lend long-toed beetles their shimmering appearance, almost like a space suit, are so reliable that they never resurface for air. “It’s a pretty successful group of insects. They’re on every continent, except Antarctica,” said Cheryl Barr, collection manager emeritus at the Essig Museum of Entomology at UC Berkeley. Plastron respiration, as scientists call it, has evolved independently in several unrelated groups of insects. Surface tension is a delicate force, vulnerable to changes temperature, turbulence or the introduction of contaminants, like soap. A sudden drop in surface tension can drown a whole insect community in an instant. Though it might not seem to affect our world to the same degree, surface tension is active all around us. It allows raindrops to form, trees to bring water to their leaves and ice to float. So in a sense, we too live on a thin boundary, ruled by the same subtle properties of water.